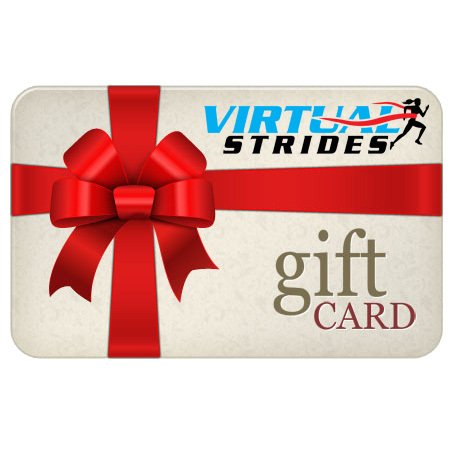 Gift the gift of Virtual Strides to a friend! Purchase a Virtual Strides store credit for any amount. You will be asked to enter your friend’s email address and a message for them during checkout. Note: This is not a physical Gift Card. It is an electronic store credit that will be emailed to your friend in the form of a promo code they can use on our site.